There are times in my life when I simply do not like what is going on. When this happens I typically go into my “grab control of the situation” mode so that I could get things back to normal and in “control” again. Recently I found myself traveling back to Cleveland six days prior to when I was I was scheduled because my Father’s condition had taken a turn for the worse. He had been under the care of hospice for about 8 weeks and his condition was deteriorating … in other words … he was dying. Sitting on the plane I hoped and prayed that I would have the chance to see him one more time. As we landed in Charlotte to make the connection home I received a text message from my brother to call him as soon as I touched down … I was too late. It is at moments like this one where we may begin to question our decisions. We can over analyze and second guess ourselves by asking questions like … should I have … what if I would have … or … why didn’t I? There are some things in life that I have a choice in. I can choose what I eat, what line of work I am in, how I treat people, how I react to various situations, etc. There are situations in life that unfold and I have absolutely no control over the situation … what-so-ever! 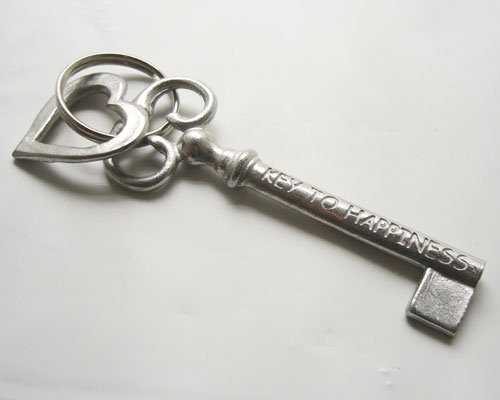 When I realize that that I am in a situation that is beyond my control, I find that acceptance is the key to happiness. I don’t need to know why, I just need to accept the situation exactly the way it is! And in acceptance … I find peace … and in this peaceful place I can see the unexpected gifts that are in front of me. Gifts I would never have seen had I been focusing my attention and energy on trying to change the situation or the outcome. Are there any circumstances or situations in your life, past or present, that you have not or are not willing to accept? Are you holding on, harboring resentment, anger, or regret, because a situation, relationship, business deal, marriage, etc. didn’t work out exactly the way you wanted it too? My wish and my hope for you this holiday season is that you would find a sense of happiness and peace in … acceptance. PreviousPrevious post:Happy New Year … ?NextNext post:Are You Headed In The Right Direction? As we get older, we all have to learn ‘acceptance’, especially when dealing with the illness and death of someone who is close to you. I leaned it a couple of years ago when I lost my mother.